Custom sublimated uniforms, fan gear and sports apparel is becoming more and more the norm. The reason people choose to sublimation printing, is because colors are unlimited, in fact you can even print a photograph! 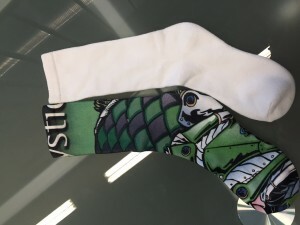 The fabric we print on is always in stock and you can do small or large runs with consistency. ed on coated heat-resistant transfer paper as a reverse image of the final design much like the application of a temporary tattoo. The image is printed as a mirror image then heat pressed into the fabric so the inks create a gas and fuses with the fibers in the fabric. The second step is very important and some printers don’t take the time, but we have to “cure” the fabric after it’s printed. This ensures the quality of the ink and withstanding fading over time. 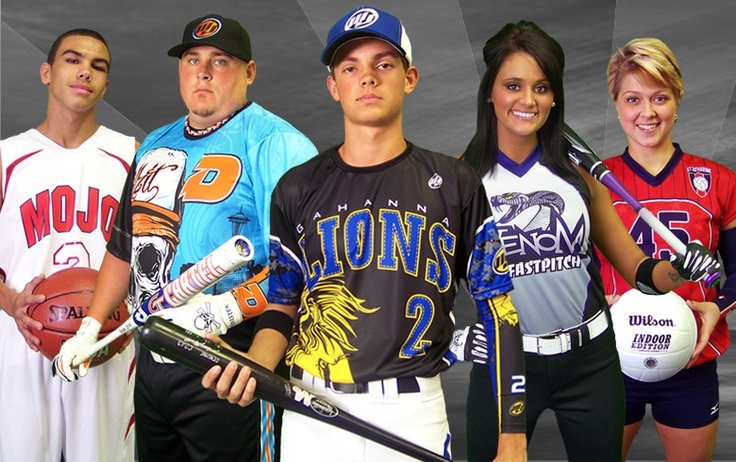 Sublimation requires mostly polyester fabric for the heat print process as described above. Some fabrics have cotton mixed in for a different softer feel. However we typically use a performance based fabric that provides wicking, anti-microbial and in some cases UPF protection. We offer a custom hang tags and custom poly bags if you don’t have them produced. 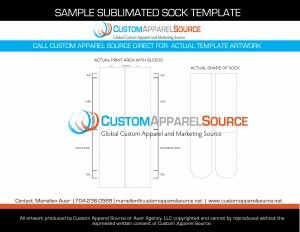 Here is a sample of the layout of a typical sublimated sock. 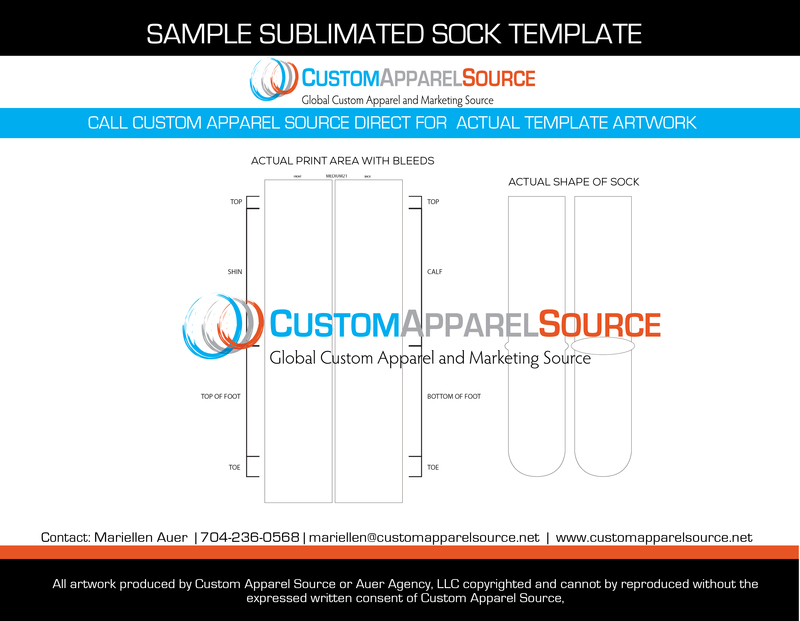 Please contact Mariellen Auer at Custom Apparel Source for actual template. We offer sizes in Men’s Medium and Men’s Large.